Drum corps fans who have always wanted to share their passion and ask questions face-to-face with corps directors, DCI Board of Directors members and staff, and with other fans from around the world, will now have a new opportunity to do just that, thanks to the "Fan Forum Roundtable" discussion series which will debut this weekend at the DCI Premier Event in Kalamazoo, Mich. Starting 90 minutes prior to the first corps performance at select Premier Events, and immediately following the World Championship Quarterfinals in Indianapolis, these casual get-togethers will provide opportunities for fans to interact in an informal setting with some of the numerous decision-makers helping to guide the future of Marching Music's Major League. 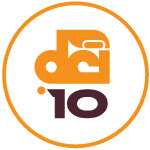 "We hope fans will take advantage of these unique opportunities to speak informally and directly with Drum Corps International corps directors and board members, as well as members of DCI's professional staff, to share their thoughts and to ask questions on a variety topics of interest to our community," said DCI Board Chairman Mark Arnold. "We know our fans are passionate, knowledgeable and engaged, and have long-desired a forum in which to provide input and gain insights into the future of our organization and its activities. It is our goal to increase the access and ability to do just that through the creation of these first events in what we hope will be an ongoing series." DCI Board Member Mark Stasa, DCI Executive Director Dan Acheson, and more! Blue Stars Director & DCI Board Member Howard Weinstein, DCI Executive Director Dan Acheson, and more! Blue Knights Director & DCI Board Chairman Mark Arnold, Executive Director Dan Acheson, and more! DCI Board Member Steve Auditore, DCI Executive Director Dan Acheson, and more! Additional dates and guests to be announced, and guest lineups are subject to change.